Find My Workspace lists over 95% of the executive office suites market in Colorado Springs. Simply click Request Quote to check pricing for one office, or Add to Basket for multiple offices. Colorado Springs, Colorado - Citadel Drive East. This Center is a commercial office building. This space has both management and leasing agents on site to help provide support with space planning for new and current tenants. Additionally, those who rent office space in this Colorado Springs location will enjoy property management, maintenance and an abundance of parking space. This office space for rent in Colorado Springs, CO is located next to Citadel Mall which provides plenty of walking traffic and business possibilities. 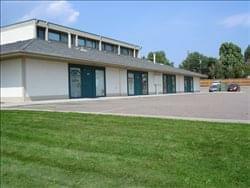 We have several types and sizes of affordable office space available for this location. To obtain information for your selected Colorado Executive Office Suites, please tick the "Add to basket" box for each office you prefer and complete the form below. We will then send a detailed report via email.